First, we need you to select the perfect length and number of layers for your veil. Have a look through the selection below. When you highlight one, it will move to "your selection". Once you've completed every step, just hit add to cart and away you go! 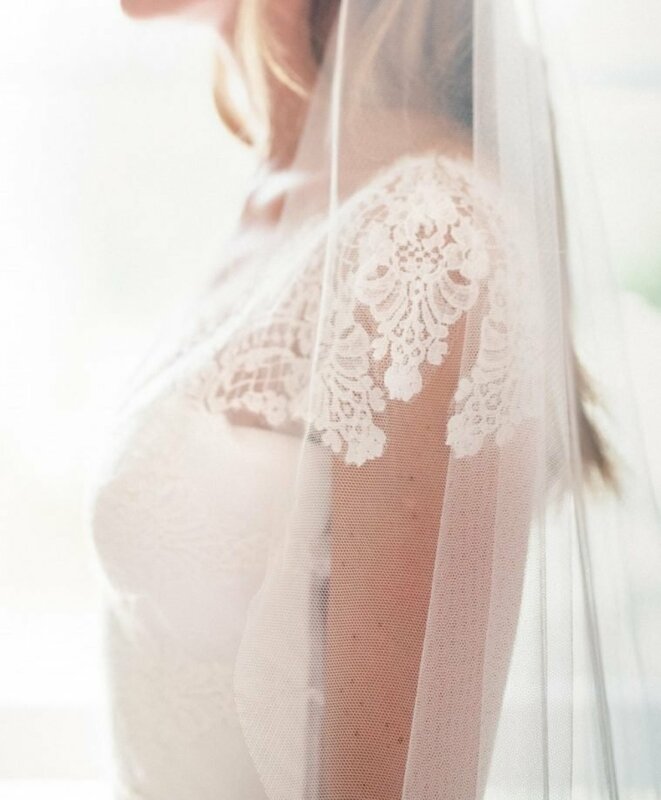 Note: if you want to wear the veil over your face during the ceremony, you'll need to select a two layer veil in your chosen length as single layer veils can't be worn over the face. Would you like the veil gathered fully across the top, or gathered in the centre only so the side sections sit around the arms and shoulders. How wide would you like your veil? 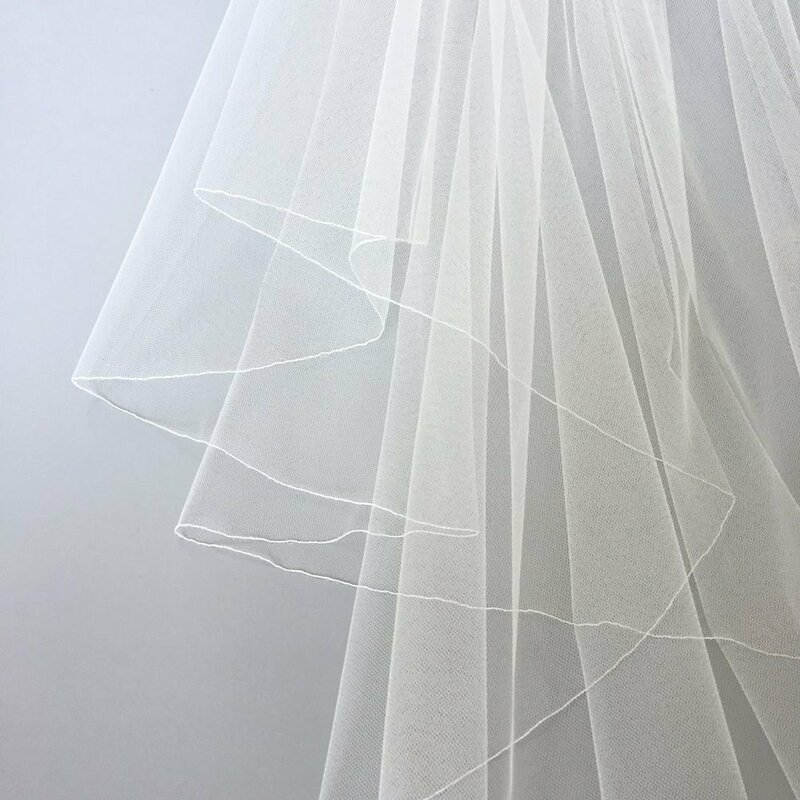 Are you looking for a slim veil that's extra sheer (suitable up to floor length), or perhaps you're looking for a high volume short veil or a long veil that's wide enough to cover your large train? If you don't have a preference or are just looking for the standard option, choose medium. The next selection is for your veil colour. The most popular option is Light Ivory. Please check with your dress shop which colour your dress has been ordered in if you're unsure. Choose one of our gorgeous edge finish options. We have simple cut and pencil edges, ribbons of all kinds and beaded edges. If any edges appear faded and unclickable, this is because you've selected either Blush Pink, Champagne or Oyster tulle and the edge finish isn't available in that colour. P.S. Were you looking for a lace edge? 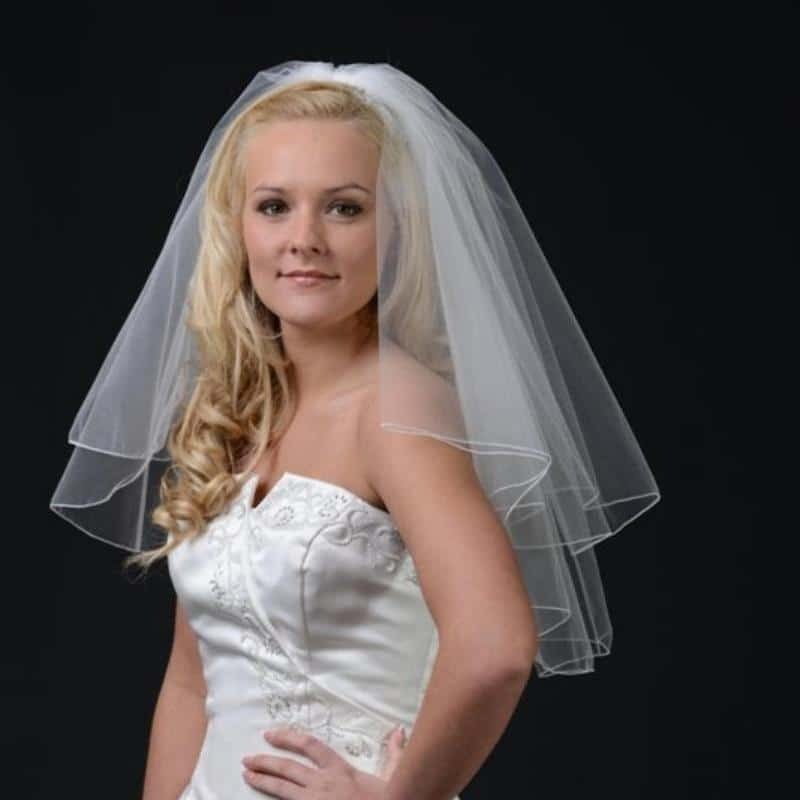 We do make custom lace veils, just not via the Custom Veil Designer. Get in touch to find out more. Choose one of our gorgeous edge finish options. We have simple cut & pencil edges, ribbons of all kinds and beaded edges. Were you looking for a lace edge? We do make custom lace veils, just not via the Custom Veil Designer. Get in touch to find out more. Next up is beading! This step is completely optional, of course. If you don't fancy adding any sparkle, you can skip ahead to Veil Manufacture Time. P.S. If you do add beading, don't forget to tell us how you want them set out in the next step. How would you like your beading set out? A light scatter, a beaded border, or the ultimate - falling stars? Our standard manufacture time for veils is 3 weeks. If you have plenty of time, you do not need to add on the Rush Veil Service. 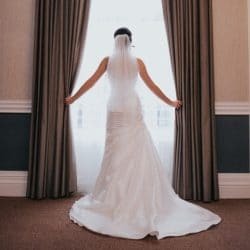 If you are short on time, however, and need your veil ASAP, adding the Rush Veil Service will ensure you have your veil in 7 days (we ship no later than day 6 on a 24 hour service). 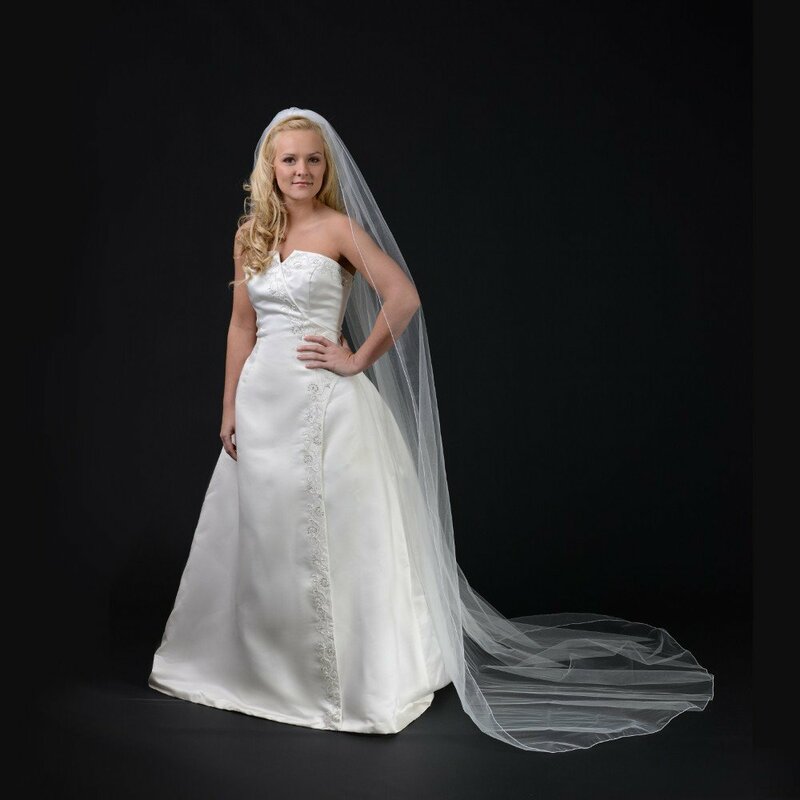 The Custom Veil Designer is our online veil builder tool that gives you full control when designing your own wedding veil. It’s something unique to us here at The Wedding Veil Shop, and something we’re very proud of. 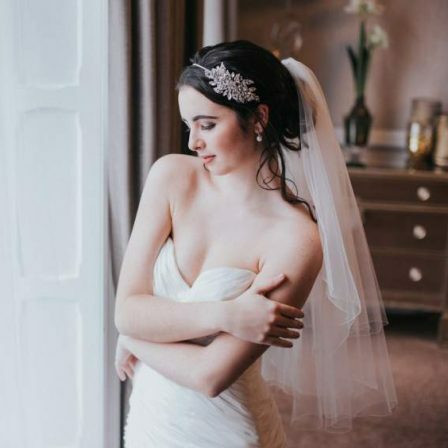 It allows our lovely brides to get creative and design or “build” their own custom wedding veil exactly how they’d like it in just a few clicks. All you need to do is decide on a few things, starting with the length and number of layers you’d like. 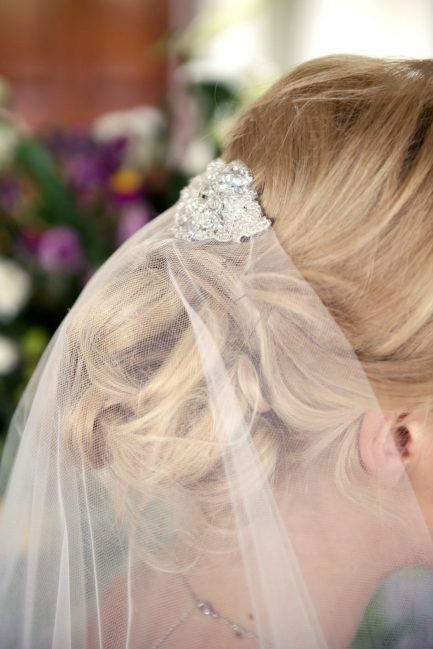 We offer seven traditional lengths in two layer options for our custom veils. The most popular lengths are waist, fingertip and chapel. 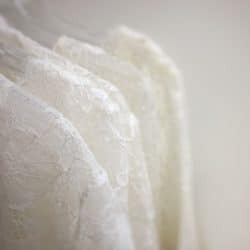 If you’re unsure on what length would fit best with your dress, be sure to check out our Veil Length Guide, or give us a call. 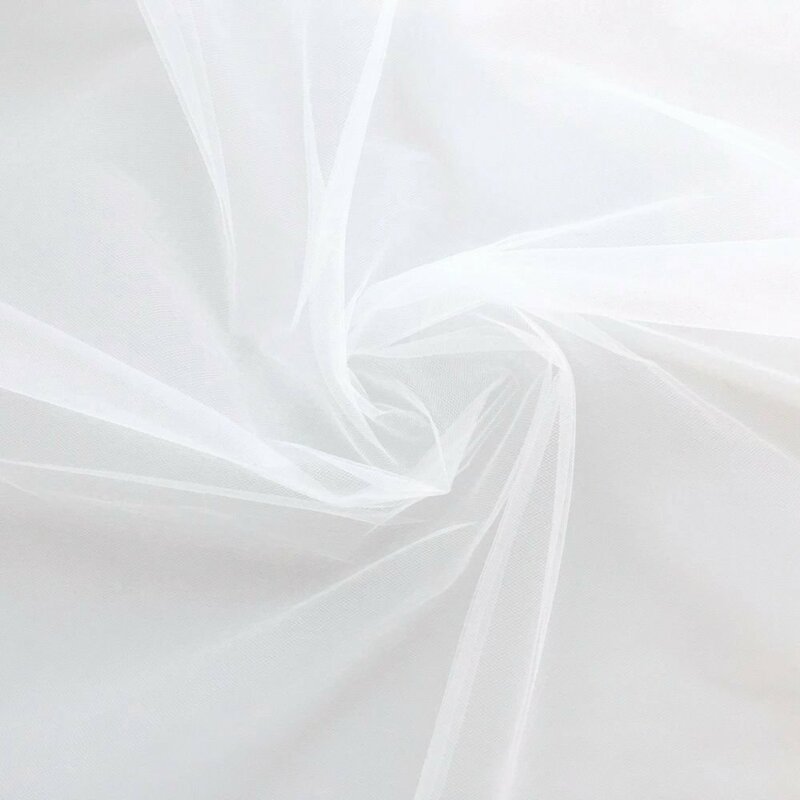 The width of a veil plays a vital role in its overall look so it’s great that you have full control over this aspect when building your custom veil. 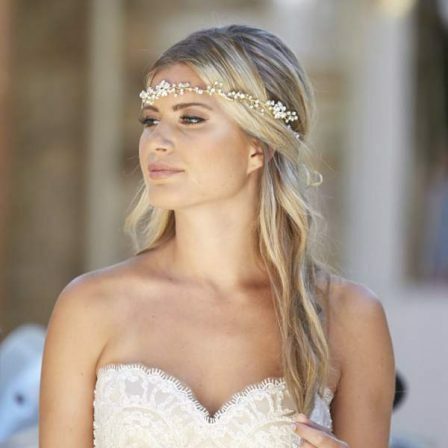 If you’re having a short veil, it can be the difference between a full, voluminous look, and a sleek, narrow column. For long veils, you may need to consider the width of your dress’ train. 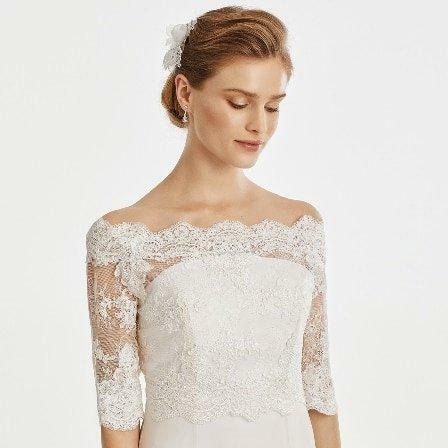 A wide train with a skinny veil can look a little contrasting. If you’re still unsure on colour, be sure to order our fabric sample pack. This is especially important if ordering a custom veil as bespoke items are non-returnable. All edges are available in the White to Ivory range, and a selection is available in Oyster, Blush Pink and Champagne. As you work your way through the Custom Veil Designer, it will automatically filter out the edges that aren’t available in your chosen colour by fading them out and making them unclickable. The final choice you need to make is beading. To bead, or not to bead, that is the question! 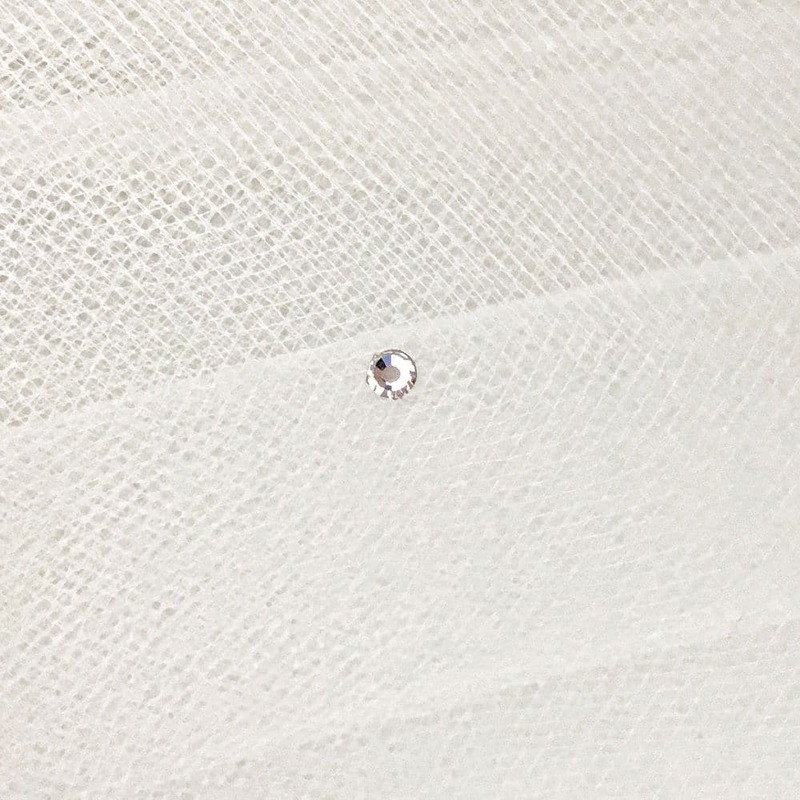 Again, this is personal preference and will depend on your dress and the edge trim you’ve selected, but for a break down of the Custom Veil Designer’s bead and layout options, check out our Beading Guide and Beading Layout Options page.